Leonard Cohen passed away in late 2016, leaving behind many who cared for and admired him, but perhaps few knew him better than longtime friend Eric Lerner. Lerner, a screenwriter and novelist, first met Cohen at a Zen retreat forty years earlier. Their friendship helped guide each other through life's myriad obstacles, a journey told from a new perspective for the first time. Funny, revealing, self-aware, and deeply moving, Matters of Vital Interest is an insightful memoir about Lerner's relationship with his friend, whose idiosyncratic style and dignified life was deeply informed by his spiritual practices. Lerner invites readers to step into the room with them and listen in on a lifetime's ongoing dialogue, considerations of matters of vital interest, spiritual, mundane, and profane. 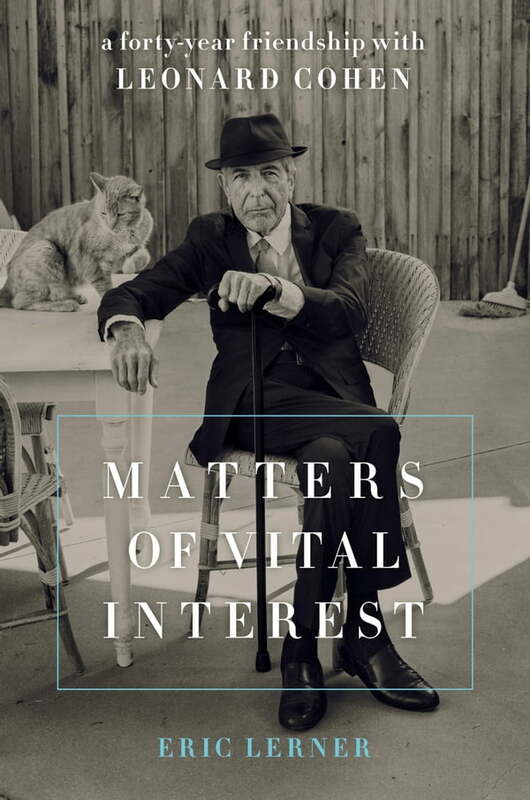 In telling their story, Lerner depicts Leonard Cohen as a captivating persona, the likes of which we may never see again.